Here at Vacation Rental Authority, our passion for the Northwest goes far beyond our property management capabilities. We know Coeur d’Alene better than anyone else because this is where we have lived our entire lives. City Beach is where we learned how to swim as young kids, Sherman Ave is where we would meet our friends and family for a burger at Hudson’s. And on the boardwalk is where many of us took our prom pictures or wedding vows. After years of living and working in Coeur d’Alene, our love and enthusiasm for this area only grows. We want everyone to someday come experience our lakeside heaven. Although there are many features of Coeur d’Alene that draw visitors; including the world’s only floating green located on the 14th hole of the CDA golf course and the Tubbs Hill nature trails where you can always find someone hiking or cliff jumping, we believe that what makes Coeur d’Alene a true stand out are the hidden treasures that can be found around nearly every corner. 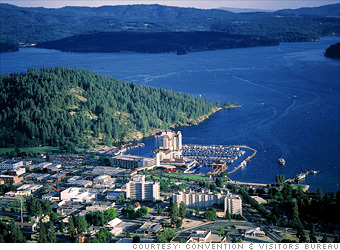 Coeur d’Alene lake is a 50 square mile area of deep blue waters, murky lagoons and small bays. Surrounded by 125 miles of shoreline and towering mountain ranges, it’s not hard to see why many have called Coeur d’Alene the most beautiful lake in the U.S. The Northwest is an area of simple pleasures and remarkable landscapes. Growing up here creates a special kind of appreciation for nature and all its glories. Our team is invested in creating the same kind of experience for our guests that we have fallen in love with time and time again here in North Idaho. If you are looking for an area that holds hours of endless activities with a diverse amount of wildlife and an ever-changing landscape, Coeur d’Alene could be the perfect place for your summer vacation. 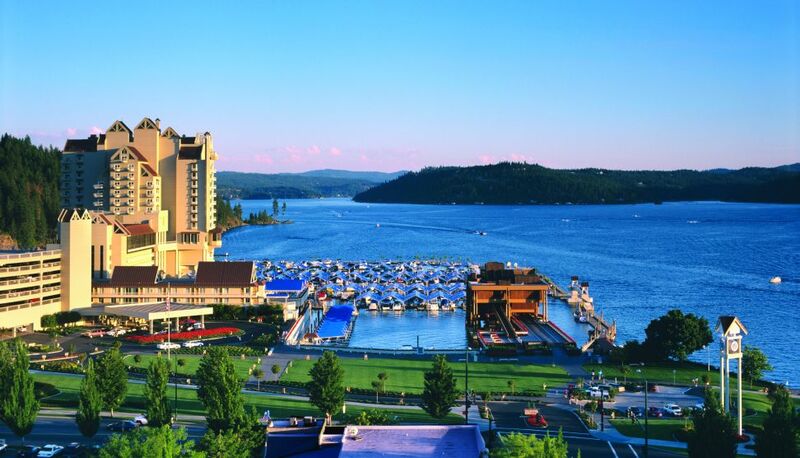 Lake Coeur d’Alene offers many activities that will interest vacationers of young and old. Hours of fishing await as salmon, trout and both large and small mouthed bass swim throughout the lake. Fall into a state of total relaxation as you quietly wait for a catch to rattle your line. One of the largest northern pike ever caught in Coeur d’Alene weighed 39 pounds! This record was recently beat, and you could be next! 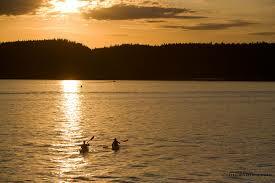 Take a kayak out and make your way through many of the small bays. Stand up paddle boarding is one of the most popular summer activities and offers quite a workout as well. During the summer the sun does not go down until 10:00, and watching the sun fall beyond the lake horizon is truly dazzling. Coeur d’Alene hosts one of the most unusual hiking and mountain biking trails in the world. 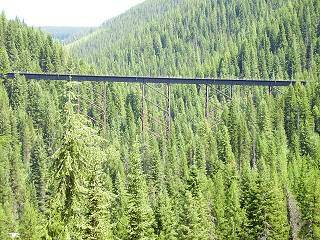 The Route of the Hiawatha is a long-abandoned railroad track which takes riders through a series of tunnels and across hundred-foot high wooden trestles. The longest of the tunnels is over 2 miles long and when you emerge on the other side you will be stunned by the incredible views that stretch deep into Montana. If you enjoy getting active and exploring new and exciting terrain, the route of the Hiawatha is a perfect activity for you. Coeur d’Alene is special in the fact that no matter what season you visit, or what activities you enjoy, Coeur d’Alene has something for you. During the winter is perhaps one of the most incredible times to visit our area. With five ski resorts all within two hours of Coeur d’Alene, winter sports are one of the biggest industries here. Perhaps the most popular of these resorts is Schweitzer. With a summit elevation of around 6,400 ft and a 2,400 ft vertical drop, Schweitzer features impeccable views from all sides of the mountain. 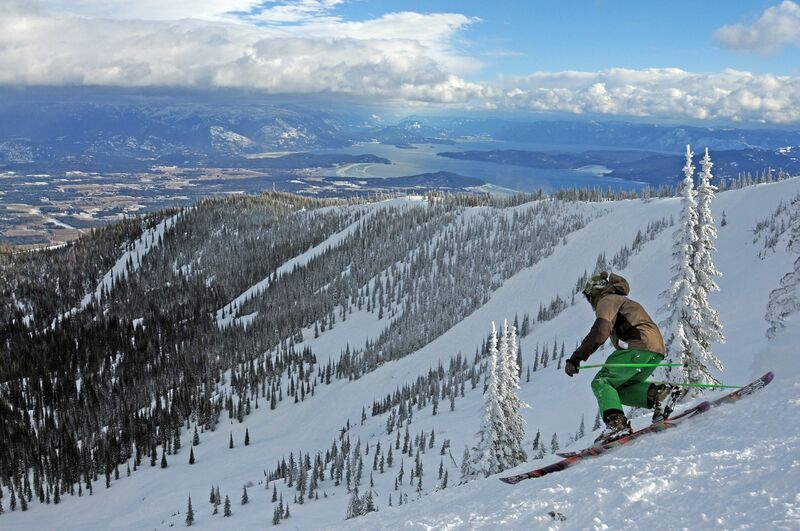 With runs for every skill level, Schweitzer is a snow lovers dream. The resort has nine chair lifts, which will take you to every one of the 92 ski-able runs and open bowls. 2,900 acres of terrain and over 300 inches of snowfall annually, make this resort one of the most popular ski and snowboard locations in the Northwest. Two hours outside of Coeur d’Alene lies a smaller lake that is well worth the drive. Priest Lake is one of my favorite North Idaho camping destinations. 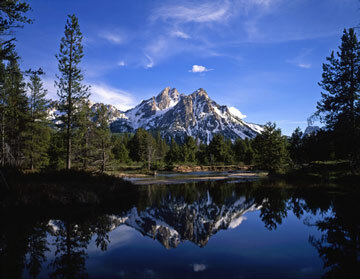 151 campsites across 755 acres surround the ice-blue water and jetting mountain ranges. Hidden throughout Priest Lake are it’s own incredible treasures. 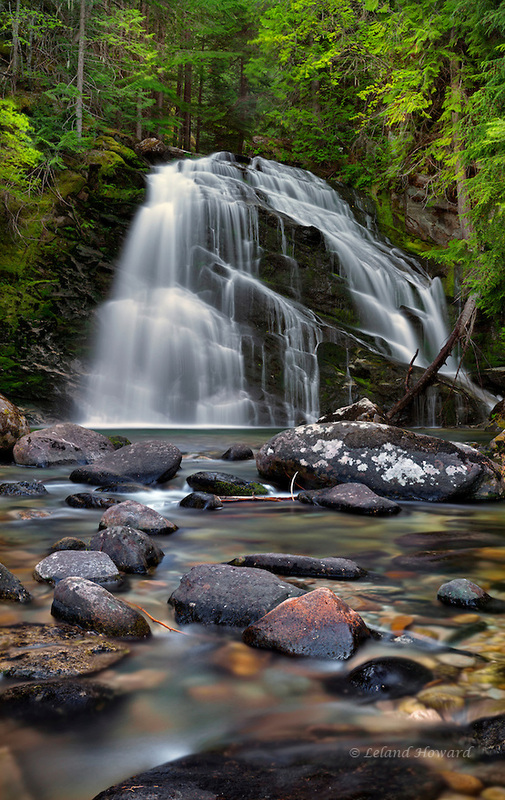 Waterfalls, gentle creeks, and small white-water rapids hold fun for all. Miles of beautiful hiking trails that overlook this breathtaking lake hold many hours of exploration and discovery. One of the most popular camp sites in all of Priest Lake is Lionshead. A natural water slide that has entertained campers for years awaits you here. The only cost to partake in this incredible feature is a mile-and-a half long hike that puts you at a perfect incline for the slide. During the middle of July, Priest Lake hosts its annual Huckleberry Festival, where pickers of young and old come to partake in the simple delicacy of natural grown fresh-picked huckleberries. During the festival, music, arts and boutique booths fill the area. This family friendly festival is a favorite year-after-year for travelers. Check out this short video done by the guys over at Rush Hour Productions, an inside look at the beautiful, serene landscape that Priest Lake offers. 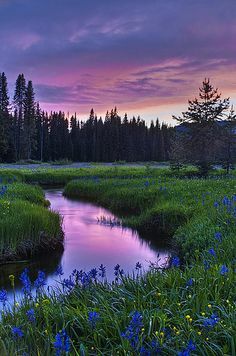 The national forests surrounding Coeur d’Alene are incredibly magical and offer some of my favorite summer activities. 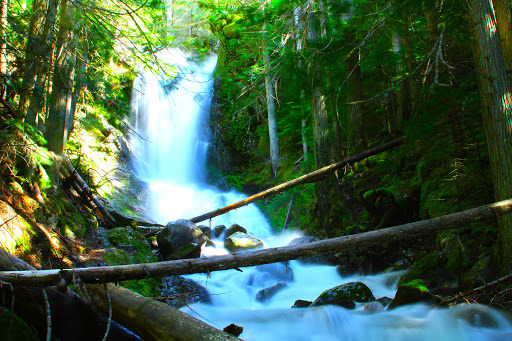 Old growth forests, incredible waterfalls and spectacular views are only a few of the reasons to visit the Idaho Panhandle National Forest. Wildlife and forestry of all sorts are abundant here, and you are sure to find something different every time you choose to get lost in the forest. Over 20% of the three forests that make up the Idaho Panhandle stretch into Washington and Montana, so the diversity is truly endless. Hundreds of miles of hiking trails offer a new adventure around every turn. You could easily spend a week backpacking in the Panhandle and not see everything here. Coeur d’Alene is an area that must be experienced to be explained. Whether you are looking for a family friendly vacation, a romantic getaway, an exciting ski and snowboard trip, or simply a lakefront paradise to swim, kayak, boat and just relax on the beach, Coeur d’Alene has it all. We are committed to making your vacation an experience that you will never forget. We create personalized vacation packages and are happy to plan events and activities for you that fit your needs. When you visit Coeur d’Alene, it will be easy to see why so many people have built such magnificent homes here, and why we want to share it with you. Now that you’ve heard my take on what makes Coeur d’Alene an amazing vacation destination, I want to hear from you! Why do you love Coeur d’Alene?